antiX has been around for some time but I have never installed or even used it. The goal of antiX is to provide a light, but fully functional desktop system for both newbies and experienced users of Linux. It does not require much from the hardware and it should run on most computers, ranging from 64MB old PII 266 systems with 128MB RAM to the latest hardware. At least 128MB RAM is recommended for antiX and 1.2GB is required for a hard disk installation. 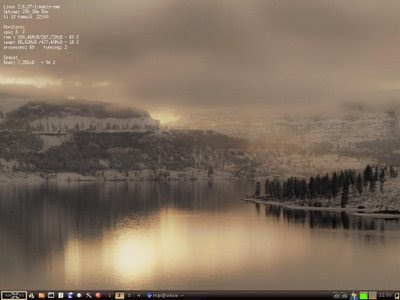 Having already used several lightweight Linux distributions, I wanted to see how antiX would perform on my secondary desktop. This computer is an old e-Vectra (1 GHz, 256 Mb) that should be a perfectly good computer to be used with antiX. Some years ago, it was a popular corporate desktop and it was used a lot as Internet kiosks and desktops for examples in universities and libraries. AntiX must be installed using a live CD which makes it cumbersome to be installed in the oldest computers. With my e-Vectra the installation took about 25 minutes. Quite acceptable, but I wonder how the GUI installer would succeed when used on an even older box with less memory. Edit: I forgot to mention that antiX did not correctly recognize the graphic chip of my computer which means that the screen resolution offered was completely unusable. I copied the xorg.conf from another system. AntiX uses IceWM as the default window manager which was of course a pleasant surprise for me. Nowadays, more and more lightweight distributions use either JWM or LXDE but IceWM can look just as nice as any other window manager. In fact, AntiX provides the user with a nice selection of installed themes. The first test I usually do with any distro is to see how it handles the most common web site for multimedia, that is the YouTube. In fact, AntiX has no problems in showing any of the YouTube videos I wanted to see. This is certainly a something a newbie expects even from a lightweight distribution as flash animations, Java games and YouTube videos are an important part of web experience for most users. These of course demand a lot from the hardware and the experience might not be exactly great with the oldest computers, but it was good enough for me. Second test: what happens when I insert an audio cd in the cd drive? - Nothing. In fact, that is exactly what I was hoping for. I started xmms and clicked Play directory, then chose the directory /media/cdrom to be played. For a total newbie this might not be the most obvious way to play a music cd but I have no problems with this. A third test: what happens when I try to use an USB memory stick? - As far as I see, nothing. At least nothing appears in the directory /media. First I thought I should just mount the pendrive by hand, but I finally found the solution. Start the Control center, select the tab Peripherals, click Mount connected Devices and give the root password. Now the memory is mounted as /media/sda1. But I still don't know how to umount the memory except as root on the command line with umount /media/sda1. Rox filer cannot handle it as the ordinary user is of course not allowed to umount a device that was mounted by the root. AntiX is based on MEPIS that in turn is based on Debian. This means that the system beneath the desktop is (or should be) familiar to any user of Ubuntu or Debian. This in itself is a strong point in favor of antiX for anyone coming from the Ubuntu land. I can warmly recommend AntiX for anyone who is looking for a lightweight alternative to Ubuntu. 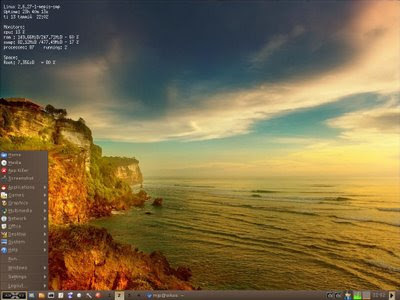 AntiX provides a good selection of lightweight applications and an even wider selection of applications is available in the Debian stable repositories. The default installation provides the applications that most people need: a media player, web browsers, a word processor (Abiword), a spreadsheet application (Gnumeric), DVD player and even some games. AntiX 8 is still a release under development. I have, however, not encountered any problems with the system during these two days I have used antiX. I can recommend antiX to anyone who is looking for a lightweight distribution to be used on an old computer. I have not tried this Distribution. the screen shoot looks amazing for me. This is why I Love LINUX. Once it reaches a final release, I'll give it a try. I don't know if IceWM is the best "newbie" Window Manager, but I doubt that's who AntiX was made for anyway. I was googling and came across this article. I would just like to thank you for this positive and fair review of antiX. I like your blog. Lots of interesting material for linux users with old boxes. Nice to have you here, Anticapitalista! Just installed antix 8 on my old lappy,which had puppy linux 4.31 on,I am pleased to say it seems as fast as puppy but with tons of software available. The laptop is an old Toshiba satellite pro 600 celeron,320mb ram,10gb hd,epud 2511cd athros based wireless card. Downloaded the mepis version of opera browser from opera web site,and did a teminal install with dpkg added it to the menu and am very impressed with the speed on this machine-its very usable for surfing etc. I am sorely temped to replace my ubuntu 9.10 on my desktop with this baby. How old is an old computer?